Governor Akinwunmi Ambode of Lagos State, on Friday, urged Nigerians to promote peaceful co-existence and as well pray for the successful conduct of the 2019 general elections, saying such remains key to the enhancement of growth and development. Speaking at a special Eid-El-Fitri celebration organised by the State Government simultaneously across 20 Local Government Areas of the State, Governor Ambode said it was important for the people to put the interest of the country first and offer prayers for peaceful elections come 2019. The Governor, who spoke through his representatives in all the venues, particularly admonished Muslims to sustain the lessons of the holy month of Ramadan and work to foster unity. At Marina Waterfront, Oju Alaro in Epe where he was represented by Commissioner for Commerce, Industry and Cooperatives, Mrs Olayinka Oladunjoye, the Governor said: “As we celebrate the successful completion of this year’s Ramadan fast, let us not forget the lessons of the holy month which is the fear of God and the care of the needy in our community. “Let us not relent in the act of charity and mutual understanding to cement relationship and foster unity. He said apart from the festivities and promotion of social bonding, the celebration was also a way of showing gratitude to God for His love which made it possible for his administration to experience an atmosphere of peaceful co-existence and religious harmony which contributed significantly to the progress and prosperity so far achieved in the State. 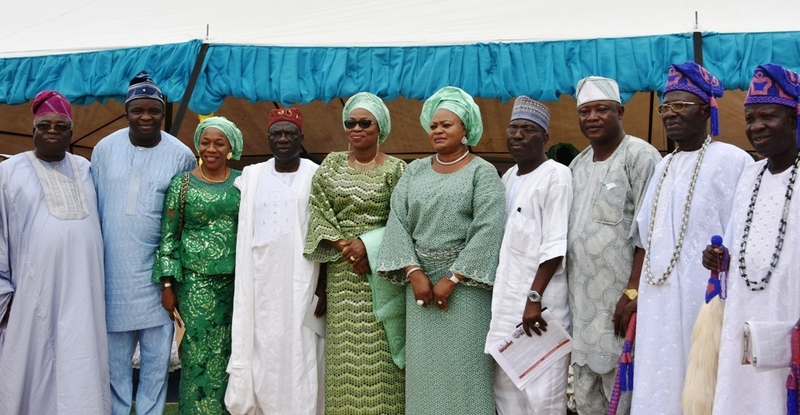 While assuring that his administration would continue to run an all-inclusive governance based on the principle of social justice and fairness to all irrespective of religious, ethnic or gender backgrounds, the Governor also urged residents to be committed to their civic obligations and partner with government to build smart city of choice. “We have made giant strides in our match to become the smart city of our collective desire. Keep on supporting us through commitment to the discharge of your civic obligations and together we shall achieve our obligations to build a modern city that is livable and which all citizens have opportunity to achieve their dreams,” Governor Ambode said. On her part, Wife of the Governor, Mrs Bolanle Ambode said Ramadan was the month of prayers, which had been faithfully observed as commanded by God and the blessings must follow. She blessed God for the progress witnessed by the State in impressive socio-economic development across all sectors. The Governor’s wife urged everyone to sustain the Ramadan spirit of charity, by showing kindness to the weak and vulnerable, including orphans, widows, the girl-child and less privileged persons. In his welcome address, the Commissioner for Home Affairs, Hon. Abdulhakeem Adullateef, admonished the people to continue to seek knowledge and understanding of Islam after Ramadan, and to continuously fulfill the spiritual obligations of a pious Muslim. He added that they must avoid acts forbidden by Islam, but must be forthright, charitable, kind, seek happiness of others, embark on more spiritual fortifications, and work more to collaborate on initiatives, that promote common good and cement relationships across all divides. He enjoined them to ceaselessly practice those acts, to bring more happiness, progress and prosperity to families, communities, Lagos State and the country.